LIGHT FLUX CD (FULL ALBUM) NEW !!! 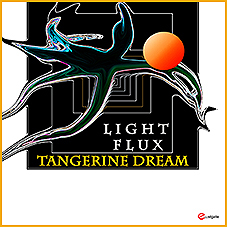 The LIGHT FLUX CD is the FULL ALBUM coming along with Edgar's autobiography on Tangerine Dream FORCE MAJEURE. The first 500 customers who were pre-ordering the book got this album for free as an additional bonus. GREEN SUMMER CLOUDS is a completely new track of about 18 min composed by Edgar and Thorsten as well is REACHING RAVENNA of more than 15 min. NEMESIS is a beautiful track by Edgar alone, so far unreleased and all the others are newly arranged. Enjoy a wonderful album of TD music while reading the autobiography! SHIPPING START: 29th SEPTEMBER 2017!! !